King Gambrinus is located at King's Courtyard at Best Place Tavern, on the southwest corner of West Juneau Avenue and North 9th Street, at or near 901 West Juneau Avenue, Milwaukee, Wisconsin 53233. NOTE: Best Place Tavern is the former corporate office building of The Pabst Brewing Company. It is part of a larger redevelopment of the Pabst Brewery Complex. 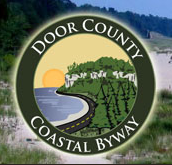 The Complex was added to the National Register Historic Places on November 14, 2003. BeerHistory.com: King Gambrinus. Who Was He? 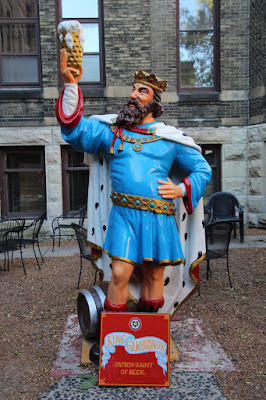 King Gambrinus is included in Wisconsin's Whimsical Roadside Attractions. The entrance to the courtyard is on the north side of the building. The east side of the building -- gorgeous! 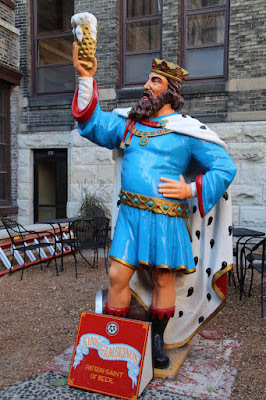 King Gambrinus is located in Milwaukee, Wisconsin.